I think this kind of book is brilliant. What went wrong with Warhammer Fantasy is the lack of a meta shift (among things). It's what keeps games interesting. 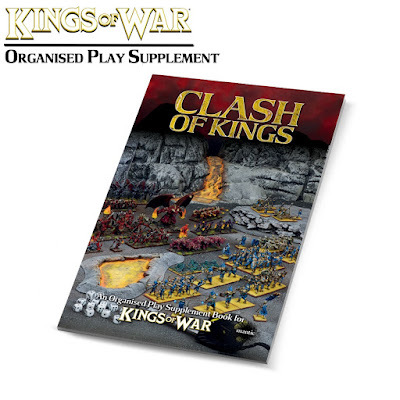 IMO, in order for Kings of War to grow and remain interesting, it is good for the game to have a meta shift every so often. Magic the Gathering does this pretty well, as a new "block" comes out, so do new abilities, combos and all of that for the gamer to explore. I guess you mean the bane chant artefact? Yeah it feels like even if it was 30 points it would be an easy choice to bung a standard bearer. At least they've nerfed the piercing. I do think bane chant is something that makes the game more fun - it swings games towards more decisive and less attritional combat. But yeah... we'll see. Just ordered a copy from Mighty Ape. Won't ship until Tuesday but not fussed. Looking forward to having a look through. References - Paul, S., n.d. Testogen Research Studies: Benefits, Side Effects Guide! [WWW Document]. Testosteroneofficial.com ie. Testosterone Official. URL https://testosteroneofficial.com/reviews/testogen/ (accessed 9.15.18).